Home > TABLES + BUFFET > Cafe & Bar Tables > Indoor/Outdoor Square Café Table 24"
Indoor/Outdoor Square Café Table 24"
The Café Square Table is a classic modern design that is not only great looking, but very functional. 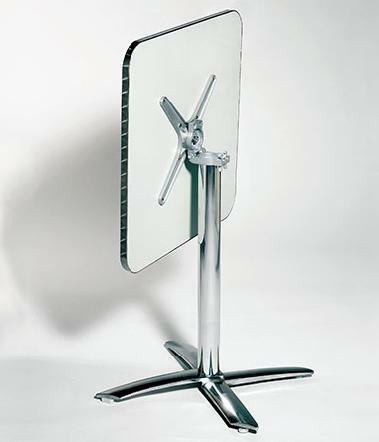 The table is made of aluminum base and stainless steel top so it may be used either indoors or outdoors. 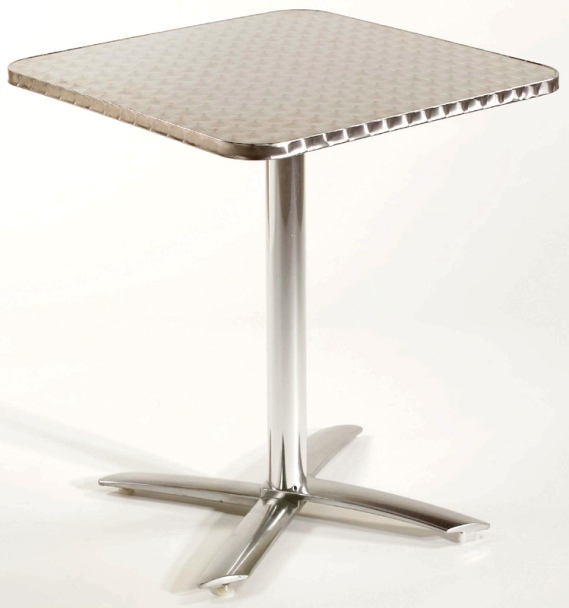 The Café Square Table is lightweight and easy to move. Also the table top tilts for easy storage. Very popular among restaurants, cafes, and other outdoor seating areas. Also use in your home for a sleek contemporary look. Indoor/Outdoor Round Café Table 27.5"